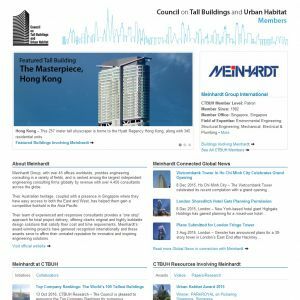 Meinhardt Group International is a member of the CTBUH at the Patron level. Parent company of Meinhardt Facade Technology (S) Pte. Ltd.